Younger generations have different definitions of the American Dream. Today’s adult generations have all defined their American Dream differently, which has been supported by financial institutions with messages that have helped care for and make those dreams come true. In this moment, a key opportunity lies in how to earn the trust of Gen Z by first understanding what they define as the American Dream and second, isolating a role that credit unions can play to help make that happen. The American Dream for baby boomers was defined by owning a home with a new car and working toward a reliable pension. For Gen Xers, their dream has been met with stark reality as they live in their McMansions while witnessing their retirement funds and home values atrophy in a volatile market. These generations contrast with millennials, who view life experiences as the modern currency, are reticent to take on a mortgage and live in a society where likes, swipes and clicks illicit immediate gratification. Then there’s Gen Z, who has grown up in an imperfect world where they’re suspicious of big companies like Wells Fargo, Uber and Facebook that have abused their trust. They have also seen their older siblings boomerang home, saddled with college debt, and they feel more empowered to be the agent of change. You may already have a strategic approach to millennials, but don’t neglect Gen Z. The oldest spectrum of the Gen Z cohort is in college, which may seem like an unimportant segment to your marketing at this time, but considering that the number of credit unions declined by 248 in 2017 – an increase from 221 closures in the previous year – it’s best to nimbly use what budget makes sense in your market to begin connecting with Gen Z. Here are a handful of ways to get started. You are likely closely associated to the community in business and, hopefully, civically as well. This offers a clear path to opportunity because 60% of Gen Z wants their work to make a difference and one in 10 want to start a charity (there’s a reason why MTV has anointed Gen Z as the “Founders” generation). You may already be profiling a “kid of the week” or “student of the month,” which is a nice start, but profiling a “kid hero” or a “junior visionary” has greater talk value and still has a great halo effect for your brand. It’s also worth learning how to implement microlending programs or establish development accounts that will serve as proof that you get their priorities and are providing the resources to help them create change – because that’s what Gen Z is passionate about today. Additionally, augmenting your community outreach and sponsorship dollars to include supporting kid-generated causes indicates that you understand what’s important to the next generation of members. Gen Z has witnessed big banks commit deceitful practices with their very own customers, and news about massive security breaches at large companies is a constant news cycle. Demonstrating that you are a nimble, digitally savvy and member-focused credit union ensures you do not get perceived as – or carry the negative connotation of – a traditional big bank. According to a recent Forbes study, 25% of Gen Z respondents trust digital payment platforms over traditional banks, which lies in striking comparison to 14% of the general population with the same sentiment. This number should be a bellwether to the industry in terms of products and services you highlight for Gen Z. Consider that by 2020 Gen Z will make up 40% of the economy’s consumers, and Forbes indicates that 57% of Gen Z would rather save their money than spend it immediately – likely a surprising statistic for those who are parents to teenagers. All considered, investing in technology that makes banking easy, fair and clear is vital, but also show that your people are on the forefront of progressive practices. Competitive rates have a role in your messaging, but Gen Z is in the market of finding an institution that won’t let them down – a promise you can fulfill. It’s worth exploring how full disclosures and responsibility play a role in your messaging tactics, because this generation is acutely aware that the trusted systems of yesterday are broken. This generation has witnessed their older family members lose retirement funds and experience job turmoil during the Great Recession. They have seen their wanderlust siblings become saddled with daunting debt and move home to save money. This behavior has taught Gen Z to invest in due diligence by researching their options and seeking advice from their peers. The broken trust they’ve seen also makes them less likely to make impulse purchases or shirk responsibility. Success is had when you combine transparent messaging with an effective web platform filled with financial tools, calculators and resources that enable Gen Z to clearly see, understand and take control of their financials. And if it’s on mobile too, even better! The reasons to believe in a credit union must align with the core values of Gen Z in a way that may be more consequential (or beneficial) than any other previous generation. After all, Gen Z is determined to not repeat the same mistakes as previous generations and are more scrupulous with their money. All signs suggest that Gen Z has real, long-term value – they’re pragmatic, not reactionary, and they want a trusted financial partner. Some of what you need to change is marketing-related, but some is also organizational, and marketing only works if it’s rooted in an authentic story, not hollow promises. 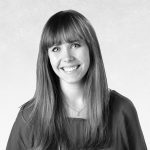 Justine Rudeen is Account Supervisor for Heibing. She can be reached at 608-256-6357 or jrudeen@hiebing.com.